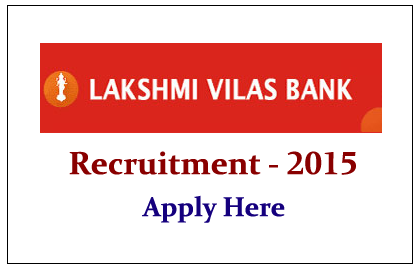 Lakshmi Vilas Bank has announced recruitment notification for various posts of the year 2015. Eligible candidates can apply for this post before 14.03.2015. More details regarding this recruitment were given below. Candidates will be selected on the performance in the personal interview. Eligible Candidates can apply for this post by sending their application along with all relevant documents to the below address, by super-scribling the name of the post in the envelope. Your Application should reach the above the address on or before 14.03.2015.